WMATA is offering Reduced Fare SmarTrip ID cards to Veterans with a VA disability rating of 60% or greater. 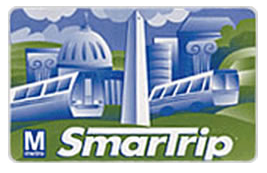 Obtaining a Reduced Fare SmarTrip ID can reduce costs by as much as 50% on Metrorail, Metrobus, MARC, MTA, and other participating providers. Rather than requiring a trip to Metro HQ, WMATA is offering additional opportunities to apply for their Disability Reduced Fare Program at the Pentagon Metro Station on the dates listed below. Open to anyone qualified for a Reduced Fare SmarTrip ID card including, but not limited to, Veterans with a 60% disability rating or greater. You do not need to be a federal employee to qualify. Reduced fares will be applied to all trips, even those outside of your commute to/from work, when using a Reduced Fare SmarTrip ID card. Starting February 6, 2019, a WMATA representative will be available to process Reduced Fare SmarTrip ID card applications at a table within the Pentagon Metro Station (underground) on the following Wednesdays from 9:00 a.m. to 2:00 p.m. The original letter of disability notification issued by the Department of Veterans Affairs, a downloaded letter from the DVA website, or their Uniformed Services ID Card for 100% disabled Veterans (DD Form 2765). *Please note that Reduced Fare SmarTrip ID cards will be mailed to the address listed on the application.